The first months tuition and June tuition are due upon Registration. The remaining tuition payments are due on the 1st of each month, or the following business day, from the second month of enrollment until May. Street Kings does not offer pro-rated (discounted) Tuition for short months or late registration, as rates are based on an annual amount. We base our monthly fees on the total amount for the year of dance. We take that total, and divide it evenly among 10 months, September to June (similar to BC Hydro equal payment method). We do this to make it easier for you to budget the payments. Tuition rates do not include Workshops, Costumes, Private Lessons, Competition fees and Solos etc. Monthly bill/statements are not distributed from our office for your monthly tuition. If at any time you would like a printed statement of your account you may visit your Dance Studio Pro account and print one. Please keep a record of your payments throughout the season. Monthly statements will be mailed for overdue balances only. Monthly tuition is processed on or after 9:00 am on the 1st of each month, and shall be processed automatically via Credit Card through auto-pay on Dance Studio Pro. If the 1st of the month lands on a weekend or holiday, the accounts will be processed on the following business day. If a family wishes to pay their account balance with a different credit card, the family may visit their account and make a payment prior to 9:00 am on or before the scheduled due date. 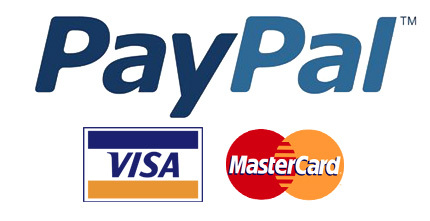 Payments can be alternatively made by Paypal, “Tap” Debit, or Apple Pay “Tap”, however please make sure to process any account fees before their scheduled due date/times to avoid Late Fees. Street Kings does not accept cash, e-transfer or check; however post-dated checks are accepted for Solo Duo Trio deposits, and Birthday Party deposits. A Late Fee of $35 is added to accounts that are unable to be processed. Students may only participate in dance when account balances are up to date. Fees not paid in full by July 01 of the current dance season will be sent to a Collections Agency. In order to settle this debt, a 30% administration fee will be charged on top of the amount owing. Street Kings is not responsible for snow days, flooding, power outages or any other unforeseen cancellation emergencies. We acknowledge a few holidays throughout the season, including Thanksgiving, Remembrance Day, Family Day, 2-2.5 weeks for Winter Holidays, 2 weeks for Spring break, Easter Weekend, and May Long Weekend. These have been sorted within the total number of classes for the season, therefore no make up classes will be required.